In just a few days, a swath of America will witness a historic astrological event. You’ve doubtless already heard about it, and for good reason. This is the first total solar eclipse to be visible in the continental United States in almost 40 years — and there won’t be another one until 2024. It’s no wonder people are flocking in droves to the cities and towns where you can witness the totality. But serious eclipse chasers make their plans months, or even years, ahead of time. And since this particular eclipse covers such a broad stretch of land — meaning it’s within reasonable driving distance for a huge number of Americans — even more eager sky watchers than usual are predicted to fill in (and clog up) the highways, roads, and hotel rooms under the track of disappearing sun. For big cities like Charleston, South Carolina and small towns like Keizer, Oregon alike, that means a huge influx of tourist-based income. 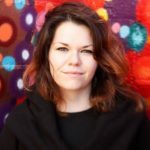 Although there are sure to be some logistical nightmares for traffic cops and security guards on August 21, all in all, it’s good news for everyone in the path of the totality — particularly those in the hospitality and service industries. But for those of us who heard the big news a little late, or who didn’t have the chance to make early travel arrangements, the ramifications of the eclipse’s popularity are significantly less cheerful. 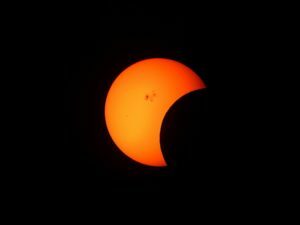 Wondering How to See the 2017 Solar Eclipse? If you’re scrambling at the nth hour to try and find a place to stay in the eclipse’s path, you probably already know that, well, your chances don’t look so hot. Even if you can find an available hotel room or Airbnb — which is a big “if,” by the way — you’ll likely find the per-night cost has skyrocketed. In fact, even some diligent stargazers who booked their rooms more than a year ago have run into accommodation problems. The hotels realized where (and when) they were, and simply canceled the early bookings, attempting to charge the same patrons a higher price for the exact same reservation. One hotel asked $1,000 a night, according to KGW Portland. But before you give up on your opportunity to witness a stunning moment in space history, hold on! We have another idea you might not have thought of yet. Although big, commercial rental dealerships close to the totality may have sold out months ago, it’s much more likely that private owners on a peer-to-peer rental market like RVshare still have some rigs available. And when you rent through RVshare, you know that your rental will be well-cared-for and comfortably appointed — after all, a real, live person actually uses that rig for their own vacations! It doesn’t hurt that RVshare listings tend to be less expensive than the big box rental agencies, too. 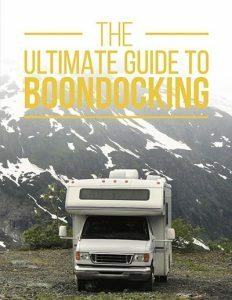 Private owners can afford to rent their RVs more cheaply, since they don’t have to deal with costly overhead business expenses. Their fee schedules also tend to be much more straightforward, with everything laid out right there in the listing rather than buried deep in the rental contract under a mountain of fine print. We’re glad you asked, because we have a solution to that problem, too. Although many campgrounds both public and private have been booked for weeks now, there are a few in the path of the totality — or close by — with open spaces. 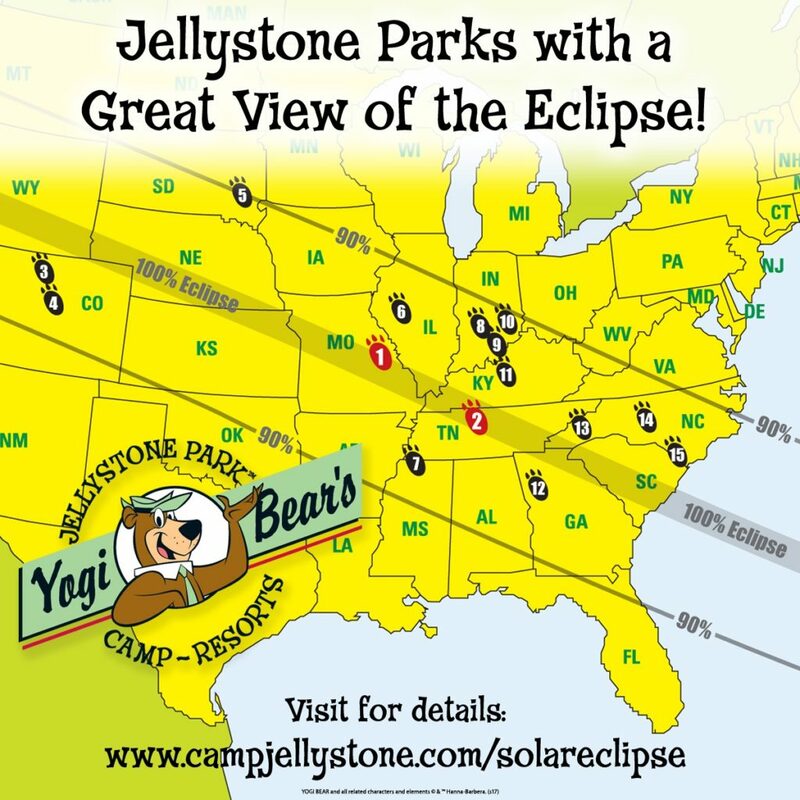 And if you’re familiar with the famously wholesome fun available at the 79 Jellystone Parks campgrounds across the country, you’ll be thrilled to discover that one of them might be the perfect spot to don your eclipse glasses on Monday, August 21. Thankfully, 15 Jellystone Parks are located close enough to the path “to see 90% or more of the solar eclipse,” according to a company press release dated August 9, 2017. “Yogi Bear, Boo Boo, Ranger Smith and Cindy Bear are going to be outside wearing their protective glasses as they experience this historic event,” said Michele Wisher, vice president of marketing for Milford, Ohio-based Leisure Systems Inc., which franchises 79 Jellystone Parks across the U.S. and Canada. Many of the parks have special, thematic events planned for this special day, including a kid-friendly meteorite hunt and moonstone painting session in Nashville. Other Jellystone locations are having watch parties and even creating time capsules. Renting a rig from RVshare and heading to one of these Jellystone locations might be the perfect way to see the eclipse for those of us who were late on the uptake. But if you want to ensure you’ll have a spot, it’s important not to put making your reservations off even one more day! “We encourage people who would like to see the eclipse with Yogi Bear and friends to make their reservations as soon as possible,” said Wisher. You can call the campground closest to you directly, and also find more information online at www.campjellystone.com/solareclipse. No matter where you end up on eclipse day — even if you’re not in the path of the totality — don’t forget to wear your safety glasses! Even though it’ll be shaded for a few moments, it’s still the sun, after all. It can cause permanent damage to your vision. You want to keep those peepers safe and healthy. That way, you can use them to view the next eclipse a few years from now.